Our numbers and letters screen printed heat transfers will adhere to anything - even Nylon, Poly, Mesh, Cotton, Spandex, Dazzle, and other blends. 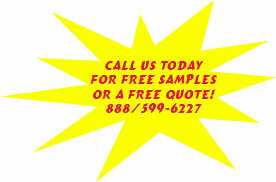 These transfers offer great opacity, stretch well, excellent adhesion, terrific durability, and are high quality. Numbers are available in the following stock combinations. Letters are available in the following fonts and sizes. 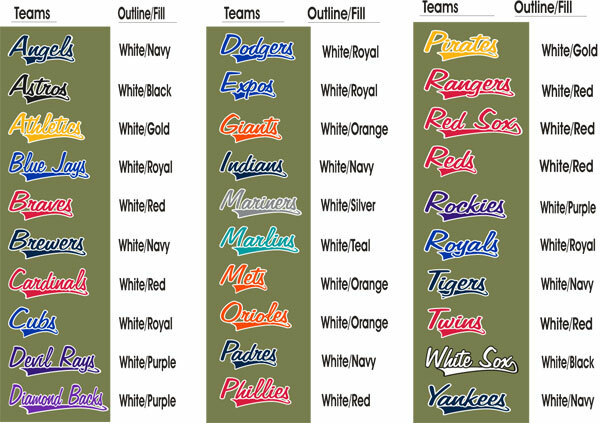 Team names are available in the following color combinations.